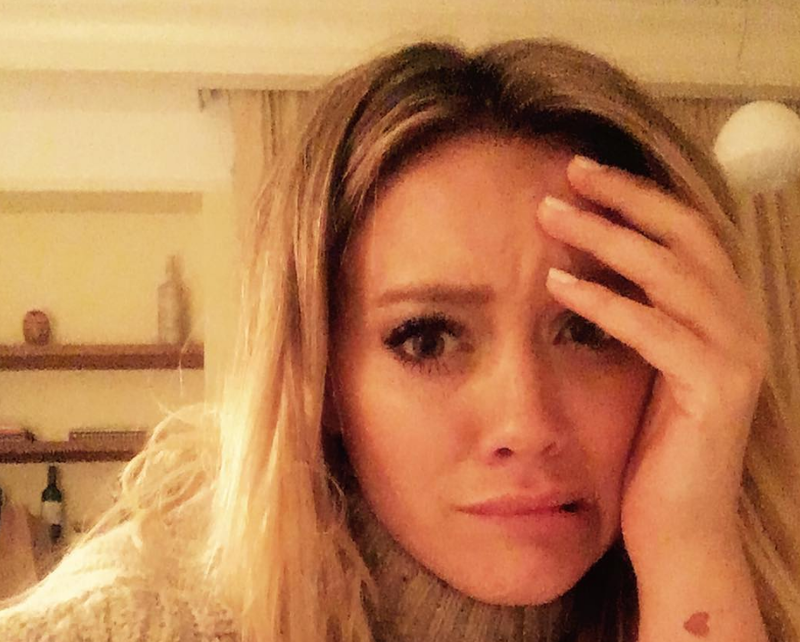 One of our Hollywood favorites, Hilary Duff, just celebrated her 29th birthday and she started the year off doing what we all need to be doing more of — self-care! The actress tells People her birthday, which was on September 28th, was a packed schedule doing press tour for the third season of her TV show Younger, but she celebrated a little early. "I'm working all day on my birthday – it's press bonanza for the show coming out. I celebrated this weekend," Duff says. We’re all for making your birthday a full-weekend instead of just one day, especially when you’re stuck working. And we’re totally intrigued by how she pampered herself. “I did a spa day," Duff reveals. “It was so nice because we just finished filming the show and it was a little hectic towards the end, so I had a massage, and this soak,” she continues. “I had never done this soak before, but it was in a sake bathtub and it just makes your skin really soft. So I pampered myself over the weekend, which was nice." Since a sake bath sounds like the most luxurious thing ever, we looked it up to see what exactly IS a sake bath. According to Travel and Leisure, it’s a pretty popular form of relaxation. You just chill in a tub full of sake water. And if sake isn’t you thing, you can also soak in green tea, red wine, and coffee. And Duff is right. According to Allure, sake baths are supposed to give you brighter, glow-y skin. WHERE CAN WE SIGN UP? Duff, who is also mom to 4-year-old Luca, says she’s not really excited about her birthday this year, but she’s looking forward to hitting the next age milestone. "I feel like I'm not that excited about 29, but hopefully by 30 I've wrapped my head around it and I will have a big party," Duff says. We’re excited enough for you, Hilary, because every birthday deserves celebration!